523 Min H. Kao Bldg. 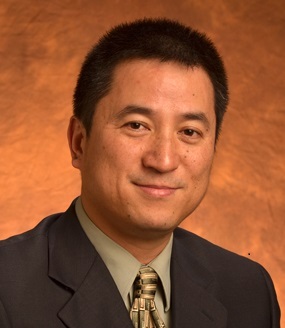 Professor Li has been a faculty member since 2005 (James W. McConnell Professor in 2017, Professor in 2016, Associate Professor in 2011, Assistant Professor in 2005) in the Department of Electrical Engineering and Computer Science (EECS) at The University of Tennessee at Knoxville (UTK). He is a Fellow of IEEE (Class of 2017). He is one of the original core faculty members of the NSF Engineering Research Center, CURENT, funded by NSF at $30.5 million in 8 years from 2011 to 2019 (with the probable extension for another 2 years). He is presently serving as the UTK Campus Director of CURENT. He is the Director of the Enliten Lab. He is also an adjunct researcher at the Oak Ridge National Laboratory (ORNL). His current interests include renewable energy integration, distributed energy resources, energy markets, reactive power, demand response, and power system computational methods. Professor Li had worked at ABB Electrical System Consulting (ESC), a.k.a. ABB Consulting, in Raleigh, NC, from February 2001 to August 2005 as a Senior Engineer and then a Principal Engineer before joining UT. During his employment at ABB, he has been significantly involved first in power distribution system and then in power market analysis. In particular, he was the lead developer of GridView Releases 1.0 and 2.0. Presently, GridView is a major power-market simulator with a number of users at power utilities and Independent System Operators (ISOs), as well as being an internal consulting tool for ABB consultants. He had also worked as a part-time engineer at Electrical Distribution Design (EDD) Inc., Blacksburg, VA from 1998 to 2000 and an engineer intern at NARI (China) in 1997. He received his BSEE and MSEE degrees from Southeast University (China) in 1994 and 1997 respectively. He received his Ph.D. degree from Virginia Tech in 2001. He is a registered Professional Engineer (P.E.) in the state of North Carolina. Professor Li is a Fellow of IEEE (Class of 2017), a Fellow of IET (formerly IEE, elected in December 2011), a Member of Sigma Xi - The Scientific Research Society, an Editor of IEEE Transactions on Power Systems (since 2017), an Editor (2011-2017) and then Consulting Editor (since 2018) of IEEE Transactions on Sustainable Energy, an Editor of IEEE Power and Energy Society Letters (since 2011), a Guest Editor of IEEE Transactions on Smart Grid (2014-2015), a Guest Editor of IEEE Transactions on Industrial Informatics (2016-2018), a Guest Editor of IET Renewable Power Generation (2018), an Editorial Board Member of Journal of Modern Power Systems and Clean Energy (MPCE) by Springer, and an Editorial Board Member of CSEE Journal of Power and Energy Systems (by Wiley-IEEE). He is serveing or has served the IEEE PES PSOPE Committee as a Vice Chair (since 2016), the PSPI Committee as a Secretary (2010-2014) and Vice Chair (since 2014), and the President of North America Chinese Power Professional Association (2013~2015). He has been a chair/organizer of numerous panel sessions at a number of international conferences. Professor Li and his research team have received a number of recognitions. Prof. Li was the recipient of the 2006 Eta Kappa Nu Outstanding Teacher Award at UT, UT EECS Faculty Early Career Fellowship Awards (2008, 2009, & 2010), 2009 UT College of Engineering Research Fellow Awards, 2011 UT Chancellor's Award for Professional Promise in Research and Creative Achievement, 2013 EECS Gonzalez Family Award for Faculty Excellence in Research, 2015 UT College of Engineering Professional Promise in Research Award, 2015 IEEE PES Technical Committee Distinguished Service Award, an Outstanding Reviewer for IEEE Transactions on Power Systems in 2015. His research works have been recognized as part of the Best Conference Papers (Top 5%) at IEEE PES Genearl Meetings (1 paper in 2015 and 2 papers in 2016). His graduate students have won several significant awards, such as winning the Best Student Poster Contests at IEEE PES conferences (Rui Bo: 2nd Place at PSCE09 and Huijuan Li: 1st Place at GM09) and CURENT Annual Industrial Conference (Qinran Hu in 2014 and Haoyu Yuan in 2015). Publications: See my new publication page. Students, Visitors, and Alumni: See my new ENLITEN lab page. Projects/Conferences/Opennings: See my new ENLITEN lab page. James W. McConnell Professor (2017), Professor (2016), Associate Professor (with tenure, 2011), Assistant Professor (2005), Department of Electrical Engineering and Computer Science (EECS), The University of Tennessee, Knoxville, TN. Campus Director of CURENT (since May 2014), Education Director of CURENT (August 2011 ~ May 2014), Center for Ultra-wide-area Resilient Electrical Energy Transmission Networks (CURENT), The University of Tennessee, Knoxville, TN. Principal Engineer Mar. 2005~Aug. 2005, Electric Systems Consulting, ABB Inc., Raleigh, NC. Senior Engineer Feb. 2001 ~ Feb. 2005, Electric Systems Consulting, ABB Inc., Raleigh, NC. Part-time Engineer Aug. 1998 ~ Jan. 2001, Electrical Distribution Design (EDD), Blacksburg, VA. Engineer Intern Jan. 1997 ~ June 1997, Nanjing Automation Research Institute (NARI), Nanjing, China. oChancellor's Award for Professional Promise in Research and Creative Achievement, UT, April 2011 (only 4 awardees each year from assistant and associate professors acorss the UTK campus). o Mariana Kamel received the UT EECS Outstanding Graduate Teaching Assistant (GTA) Award, April 2018.
o Qingxin Shi received the UT EECS Outstanding Graduate Research Assistant (GRA) Award, April 2018.
o Hantao Cui received the UT EECS Outstanding Graduate Research Assistant (GRA) Award, April 2018.
o Hantao Cui received the UT Citation Award in Extraordinary Professional Promise, April 2017.
o Linquan Bai received the Chinese Government Award for Outstanding Self-Financed Students Abroad, March 2018.
o Linquan Bai received the UT Citation Award in Extraordinary Professional Promise, April 2017.
o Can Huang received the Chinese Government Award for Outstanding Self-Financed Students Abroad, March 2016.
o Can Huang received the UT Citation Award in Extraordinary Professional Promise, April 2016.
o Xin Fang received the UT Citation Award in Extraordinary Professional Promise, April 2016.
o Haoyu Yuan received the Best Poster award in CURENT Annual Industrial Conference, 2015.
o Qinran Hu received the Best Poster award in CURENT Annual Industrial Conference, 2014.
o Hantao Cui received the UT CoE ESPN Fellowship, 2013-2015.
o T. Ben Ollis received the UT EECS Min H. Kao Fellowship, 2013-2014.
o Yao Xu received the UT Citation Award in Extraordinary Professional Promise, April 2014.
o Yao Xu received the UT EECS Min H. Kao Fellowship, 2010-2014.
o Huijuan Li won the 1st Place Prize Award at Student Poster Contest (1st out of 97 poster presentations) at IEEE PES General Meeting 2009, Calgary, Canada, July 2009. Poster title: An Adaptive Voltage Control Approach with Distributed Energy Resources, by H. Li, F. Li, Y. Xu, T. Rizy and J. Kueck. o Huijuan Li received the UT Citation Award in Extraordinary Professional Promise, April 2010.
o Rui Bo won the 2nd Place Prize Award at Student Poster Contest (2nd out of 38 poster presentations) at IEEE PES PSCE09, Seattle, WA, March 2009. Poster title: Probabilistic LMP Forecasting considering Load Uncertainty, by R. Bo and F. Li. o Rui Bo received the UT Citation Award in Extraordinary Professional Promise, April 2009.
o Nura Sabir received the DOE Pipeline Fellowship, 2006-2008.
o Associate Editor of International Journal of Power and Energy Systems, 2003~2012. o Conference Reviewer of IEEE PES General Meeting 2002 ~ present; IEEE PES Transmission & Distribution Conf. & Expo. (T&D), 2003~present; IEEE PES Power Systems Conf. & Expo (PSCE), 2006~present; IEEE ISGT Conf, 2012~present; ISCAS Conference 2007; IEEE International Conference on Electric Utility Deregulation, Restructuring, and Power Technology (DRPT 2008); North America Power Symposium (NAPS) 2008; IEEE Asia-Pacific Power and Energy Engineering Conference, 2009.
o External Ph.D. Dissertation Reviewer: University of South Florida; Anna University, India; Andhra University, India; University of Queensland, Australia; and Nanyang Technological University, Singapore. o Secretary, PES PSACE Committee Working Group (WG) on Network Charges for Embedded and Microgeneration, July 2009 ~ present. o President (2013~2015), Vice President (2009~2011), North America Chinese Power Professional Association. o Chair, PSPI Poster Session, IEEE PES General Meeting 2015, Boston, MA, July 17-21, 2016.
o Technical Program Committee (TPC) Member, 2015 IEEE International Conference on Smart Grid Communications (SmartGridComm’15): Data Management, Grid Analytics, and Dynamic Pricing Symposium, November 2 - 5, 2015, in Miami, FL. o Chair, PSPI Poster Session, IEEE PES General Meeting 2015, Denver, CO, July 26-30, 2015.
o Chair, Transactions Paper Session #3, IEEE PES General Meeting 2014, National Harbor, MD, July 27-31, 2014.
o Chair, PSPI & PS Relay Paper Forum Session #6, IEEE PES T&D Conf. and Expo., Chicago, IL, April 14-17, 2014.
o Chair, PSPI Committee Paper Forum Session, IEEE PES General Meeting 2013, Vancouver, Canada, July 21-25, 2013.
o Chair, PSPI Committee Paper Forum Session, IEEE PES General Meeting 2012, San Diego, CA, July 22-26, 2012.
o Organizer and Chair, Power System Control Technology for Smart Grid Applications, 18th World Congress of the International Federation of Automatic Control (IFAC), Milan, Italy, August 28 – Sept. 2, 2011.
o Chair, PSPI Committee Paper Forum Session, IEEE PES General Meeting 2010, Minneapolis, MN, July 25-29, 2010.
o Chair, PSPI Committee Poster Session, IEEE PES T&D Conf. and Expo. 2010, New Orleans, LA, April 19-22, 2010.
o Chair, PSPI Committee Paper Forum Session, IEEE PES General Meeting 2009, Calgary, Canada, July 26-30, 2009.
o Chair, PSPI Committee Paper Session, IEEE PES General Meeting 2009, Calgary, Canada, July 26-30, 2009.
o Co-Moderator, Break-out Session II, Group V: Towards a Trustworthy Future Power Grid, National Workshop on Research Directions for Future Cyber-Physical Energy Systems, Baltimore, MD, June 3-4, 2009.
o PSPI Super Session Chair, Transmission Planning for a Robust Grid, IEEE PES Power Systems Conf. and Expo. 2009, Seattle, WA, March 15-18, 2009.
o PSPI Super Session Chair, Wide Area Phasor Measurement Systems and Interarea Planning, IEEE PES Power Systems Conf. and Expo. 2009, Seattle, WA, March 15-18, 2009. Last Updated: April 03rd, 2019.